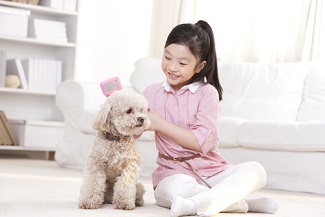 Does Pet Ownership Impact a Child's Health? Is pet ownership really as beneficial to children’s health as previous studies have suggested? Possibly not. Pet ownership and interaction have long been believed to affect children’s health for the better. For example, studies have identified several psychological benefits with dog interactions, including social support and reduced anxiety. Other studies have reported greater physical activity among children in dog-owning households than among those in non–dog-owning households. However, these studies often did not control for confounding factors, leading to potentially clouded outcomes. In addition, experimental results indicating anxiety reduction highlighted the short-term effects of a pet’s presence, suggesting a novel effect that is not generalizable to long-term anxiety reduction. The authors of a study recently published in Anthrozoös have determined that, after controlling for confounding factors, pet ownership did not significantly affect children’s health. The current study sought to provide a clear and nonconfounded assessment of the effect of pet ownership on children’s health. Dogs, Kids, and Reading Performance: Is There a Connection? Researchers analyzed data from the 2003 California Health Interview Survey, a population-based telephone survey that collected health, demographic, and socioeconomic information; it also contained a question on dog and cat ownership. Analysis was restricted to about 5,200 families with at least 1 child aged 5 to 11 years. Analyzed questions included those pertaining to a child’s overall health and other health outcomes, including the child’s weight and parental concern about the child’s behavior, feelings, and mood. The researchers selected 20 confounding factors and compared their frequencies between the approximately 3000 pet-owning and 2200 non–pet-owning households; when analyzing the comparisons, a statistical scoring method was used to reduce bias from the confounding factors. Without controlling for confounding factors, the researchers observed many significant associations between pet ownership and children’s health. Largely mirroring the health outcome comparisons, pet ownership was significantly associated with greater physical activity and better overall health in children. For future studies, the researchers suggested examining the influences of pet ownership duration and pet interaction levels on children’s health outcomes over time, given that these factors were unable to be assessed in the current study.